Stuttgart – “It can only happen once and it won’t happen again – it’s too nice to be true” sang Lilian Harvey (1931, “The Congress Dances”). 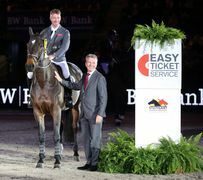 Winning the GERMAN DRESSAGE MASTER title and the Grand Prix Special for the 14th time in the Hanns-Martin-Schleyer-Halle really is a one-off. 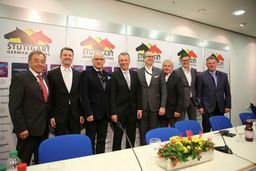 The feat has been set by the multiple Olympic, world and European champion Isabell Werth (Germany). 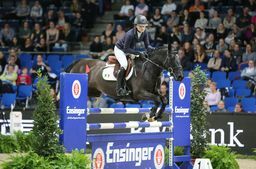 Stuttgart – Portugal’s Molly Hughes Bravo secured victory in the first ever FEI Ponies Jumping Trophy for the Prize of Ensinger Mineral-Heilquellen GmbH at the 33rd International STUTTGART GERMAN MASTERS Horse Show on Saturday evening. 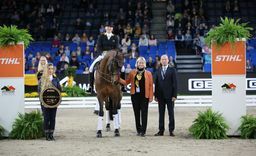 She was carried to the win in the eight-rider jump-off by her nine-year mare Carrickaduff Pet. 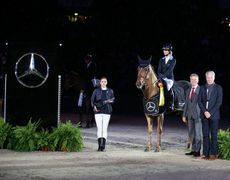 Stuttgart – Women power: the German champion Simone Blum won the MERCEDES GERMAN MASTER on Friday evening in front of a 7,400 crowd in the Hanns-Martin-Schleyer-Halle. 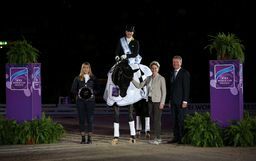 Riding her 10-year old mare DSP Alice, the 28-year old Bavarian became the sixth woman to win the second most important jumping class at the 33rd International STUTTGART GERMAN MASTERS Horse Show in the NeckarPark venue. 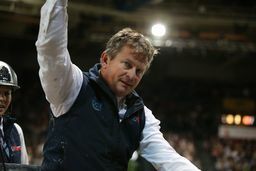 Stuttgart – Competing at the 33rd International STUTTGART GERMAN MASTERS Horse Show on Friday evening, Dutchman Jur Vrieling won the second qualifying class for the MERCEDES GERMAN MASTER. 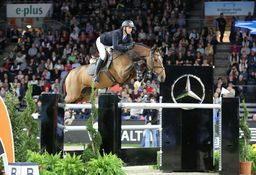 Atop the 10-year old Holstein mare Zypern, he left all the fences standing when stopping the clock at 58.98 seconds.